On the evening of October 31, members of the Society of Independent Brewers (SIBA), plus various supporters, sponsors, including Lloyds TSB and the Morning Advertiser, and assorted media, gathered in the plush surroundings of the Institute of Directors, Pall Mall, to toast the winners of the first SIBA Local Brewing Business Awards. 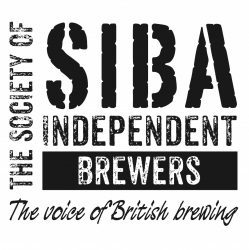 These Awards are seen as a new and bold initiative from SIBA. The aim of them is to demonstrate that even though the Society’s members brew great award-winning beers, they are also innovators in the business of marketing and selling their products. There were eight award categories plus an overall winner (see below), with a judging panel of six, including Bott and Morning Advertiser editor Andrew Pring. All were looking for a commitment from competitors to increasing their commercial results, being creative in reaching that aim, demonstrating excellence in implementation and, finally, the quality of the entry submitted. Family brewers Everards are new kids on the SIBA block, so accordingly Quality Assurance Manager Mark Tetlow admits that “we were surprised when we won the award for our three tier cellar training courses as we are a relatively big player in the SIBA pond, but it was fantastic news all the same”. This particular award was about highlighting the importance of customer service and cellar management, an immensely pertinent and relevant point for brewers and licensees given that research has shown continuous improvement and training helps to increase sales at the bar. “The idea was to move away from conventional cellar training courses,” continues Tetlow. “It would start off usually within 48 hours of a new licensee taking on a premises, with a visit from a trade manager who would assess their training needs. We developed a three-tier course, beginning with a bronze course teaching the basics, then a month later stepping up to a silver course. The sight of breweries and farm shops working together is a becoming a common occurence, but for Kentish brewery Westerham their relationship with Priory Farm Shop near Redhill has been a particularly close and harmonious connection. It also demonstrates how brewers can achieve success, publicity and promote bottled beers on their own terms. For Wicks working with Priory Farm is an excellent example of what he calls nemawashi, the Japanese word for consensus working. He of all people should know about this philosophy. Before he set up Westerham in 2004, Wicks worked in finance, where spells in Tokyo endeared him to certain ways of working. Public relations is the life-blood of all breweries, but many of the smaller ones can struggle getting their message out, given that they have to spend much of their time brewing and delivering beer. So this category should help concentrate breweries’ mind on the fact that the medium is certainly the message. Winners were Burnley’s favourite sons Moorhouse’s, who have recently announced plans to spend over £1million on a brand new bright and airy-looking brew house. Their winning entry was the exuberant celebrations in 2005 of the brewery’s 140th anniversary, which took in a steam train ride, a brass band, a barber shop quartet, Victorian costume for those who were invited and plenty of beer and food. Most breweries have websites but the boys at Greenwich-based Meantime went one step further and developed a group of sites to inform and educate consumers and suppliers about the bottled IPA and London Porter they launched last year. These websites co-existed alongside the main brewery website and also informed consumers where the beers could be found. “We wanted to explain to British drinkers what these beers were while making some claims of provenance for them for US drinkers who are used to the style,” says the brewery’s Marketing Director Peter Haydon. “We are aware that there are many IPAs and porters produced in the US, but after all porter originated in London, while IPA was developed across the river from where we are. We will add to these beer styles, which will mean more websites. “Producing them is not about doing the corporate thing, but about describing styles. These are educational sites, trying to get people to understand the provenance and the history of these beers. There’s no point in making a real IPA and not explaining about it when the only IPA most people will have drunk are the standard bitters wrongly bearing the name. The other aspect of the websites is that they promote export sales, especially to the USA, where the brewery’s beers are well received. Haydon also added a link to Google Earth so that visitors to the site could actually see a satellite view of any particular supplier, whether it was in Nebraska or New York. All businesses need innovation if they are to survive and brewers need it more than most, given today’s keen competitive climate. The Best Innovation category recognised this by looking for new and original ways of dealing with brewing processes or pushing the envelope for quality. This is where Isle of Skye’s introduction of a cask container half the size of the traditional nine-gallon one impressed the judges. The Isle of Skye brewery is situated in an area where real ale sales are seasonal. This is an area where sales drop off the cliff in the winter and licensees can be reluctant to take a nine-gallon cask knowing that their chances of selling it within three days can be slim. Isle of Skye’s innovation is a real response to customer request, something every successful brewery should be able to do. Not only do these containers offer pubs and hotels the chance to stock real ale in the lean months, but they have been developed in a way to make licensee’s lives easier. They are double-skinned which helps with insulation, leave a small footprint by being able to be fitted behind the bar and have clip-on and clip-off connectors, which means they take seconds to change. Not content with winning Best Support for On-trade Retailer, Everards also took the above award with their ground-breaking Cyclops beer classification system, which was launched back in the summer. Alongside a colour, smell and taste guide, a scale of 1-5 is used to measure the sweetness and bitterness of ales. According to the judges, this was a “outstanding idea combining simplicity and comprehensive implementation”, while praise was also directed at the blitz of promotional material that explained the idea to consumers. Cyclops has been developed at an opportune time as the brewing industry recognises the need for the language and image of beer to be brought out into the daylight and made more relevant. When a brewery decides to change or smarten up its branding imagery, it can be a risk. There’s always a chance that some customers won’t like the new image or even that the trade will reject it. Happily for Wye Valley their recent corporate and image rebranding has led to both plaudits and more recognition in the industry. As mentioned, the brewery met with some resistance from those drinkers who had always liked Wye Valley’s concentration on their Herefordshire roots. However, the reality was that they were selling within a 50-mile radius of their location, which would take them into places like the West Midlands. They wanted to be relevant for this larger area. “Getting the award was lovely,” says Amor, who is also SIBA’s vice-chairman. “When we moved in 2001 we made the decision before Progressive Beer Duty (PBD) was introduced so it was a bit of a risk, but now we have one of the finest breweries in the country and have doubled our growth. We put the emphasis on quality and after that was sorted out we looked at packaging. Alex Brodie is a former BBC journalist who swapped the microphone for the mash tun back in 2002 when he set up Hawkshead in the Lake District. Not content with one brewery, he also opened another one at Staveley, where the bulk of his ales are produced. Along with the brewery came a stupendous and modern visitor centre, which he calls the beer hall. It was this new build that impressed the judges with its professionalism and distinctive interior, thus moving beer away from the tired old clichés of smoky rooms full of men. As well as being a state-of-the-art outlet for Hawkshead’s excellent beers, the hall is also home to Hawkshead’s own training centre, where full-day courses on beer production and shorter ones on cellaring take place. This is Brodie’s way of answering the need for those in the trade, whether brewing or dispensing, to have more knowledge and control of what they do. He admits it was a surprise winning the award, especially as he nearly didn’t even enter. “I was so busy that I hadn’t given it much thought,” he says, “but I was reminded about it and at the last minute hammered out 1500 words on the beer hall. It’s excellent to win. Yes, it’s good publicity for us but it’s also good publicity about the importance of presentation.